New York and New Jersey's STAR 99.1 offers hope, encouragement and a dose of laughter every day on 99.1fm and HD in the New York Metropolitan area. Brenda's Evening Encouragement Podcast: You are Good Enough!! Brenda's Evening Encouragement Podcast : Sound Mind? But I have anxiety?!?! Brenda's Evening Encouragement Podcast: Can God Restore Your Family? Dave Moore and Kristen James offer hope, encouragement and a dose of laughter every weekday afternoon on STAR 99.1. You can listen to the show M-F 2-7p on the iHeart Radio App... http://www.iheart.com/live/star-991-7209/. That song that moved your heart doesn't just happen. 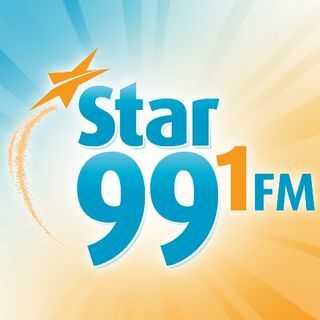 On Going Deep your favorite Star 991 Artists will pull open the curtain and tell you the stories behind why the do what they do but also dig deeper into your favorite songs. Star 99.1 is New York and New Jersey's Uplifting Christian Radio Station. Michael's greatest joy as the host of Star Cares is being able to provide listeners with information regarding public affairs issues that affect their lives and communities on a daily basis. She's blessed to hear how people are helped and inspired by the topics presented on the show. In Michael's role as Public Affairs ... See More Coordinator for Star 99.1, she enjoys meeting new people and assisting churches and other non-profits in the Tri-State area with promoting Public Service Announcements for significant events and those of broad interest to our listeners.